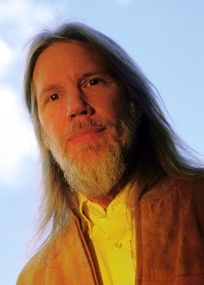 Whitfield Diffie is a famous Scientist from USA, he is 74 years old and still alive, born June 5, 1944. Bailey Whitfield 'Whit' Diffie is an American cryptologist. It is one of the pioneers of asymmetric cryptography (using a pair of public and private key) in collaboration with Martin Hellman and Ralph Merkle. In 1965, he received a BS in mathematics at the Massachusetts Institute of Technology. In 1976 with the help of Martin Hellman, he published New Directions in Cryptography. The revolutionary method described in this paper solves a fundamental problem in cryptography: key distribution. This method will then be renamed method of Diffie-Hellman. This principle is also the origin of asymmetric key methods to more advanced such as RSA or ElGamal. Diffie continued his research at Northern Telecom (Nortel) where he worked on the architecture of PDSO security system for X.25 networks. In 1991 he joined Sun Microsystems in California where he continues to address issues of security and cryptography. In 1992 he was awarded an honorary doctorate from ETH Zurich. He is a member of the Marconi Foundation. In 1998 he wrote a book with Susan Landau Privacy on the Line on wiretapping and political issues related to cryptography. He is born under the zodiac gemini, who is known for Communication, Indecision, Inquisitive, Intelligent, Changeable. Our collection contains 12 quotes who is written / told by Whitfield, under the main topic Technology. "We are as much moving into a software age as we moved into an iron age"
"We take our cultural machinery and are moving that into the Internet"
"People meet in bars after work all over the world and talk about the great problems of life and death and the world and politics and they don't take themselves seriously. They can do nothing else except chat about these things in bars after work"
"I thought cryptography was a technique that did not require your trusting other people-that if you encrypted your files, you would have the control to make the choice as to whether you would surrender your files"
"One of the things that characterizes good intellectual work is a certain self-importance"
"I understood the importance in principle of public key cryptography but it's all moved much faster than I expected. I did not expect it to be a mainstay of advanced communications technology"
"Two people can work on a problem better than one"
"Lots of people working in cryptography have no deep concern with real application issues. They are trying to discover things clever enough to write papers about"
"Some people make sharp distinctions sort of between their recreational musings and their professional work. I don't make that distinction very much"
"We in science are spoiled by the success of mathematics. Mathematics is the study of problems so simple that they have good solutions"
"If you have ambition, you might not achieve anything, but without ambition, you are almost certain not to achieve anything"
"I liked Berkeley tremendously, Berkeley was a very leftist campus. I came to love that city as much as I love Paris or the south of France or New York"